Allow us to manage your Auto, Home and Business Insurance. We market and shop your Insurance every year so you don’t have to. At IMS we have three goals, provide the best customer service, the best coverage and the best price. In business since 1933, we have the experience and knowledge to help you today. Why settle with an agent that has only one, two or even three insurance companies. We Independently represent over thirty-four of the most reliable and highest rated Insurance companies. This enables us to negotiate the best coverage and price. You need choices and we have them for you. IMS Group will work hard to be your agent and then harder to keep your business. We believe in good old fashioned customer service. A live person answers your calls during business hours. All of our policies include “value added services” that provide personalized attention to your policies coverage, claims, quotes, id cards, certificate of insurance, insurance binders, renewals, emails and fax requests. We have the best service to back up your insurance policy whenever you need it. Insurance policies are not the same and Insurance companies provide different coverage as well. When looking for a new insurance policy always ask for the best coverage for your protection. Never allow an agent or insurance company to offer minimum limits, lower your coverage or change your policy to save money. A five minute or fifteen minute quote will not include the important coverage needed today. You need the best policy with the right coverage; so your protected in the event of a claim. Our unique insurance quoting identifies your existing and possible exposures to a claim, as this is “key” to finding the best policy for your individual coverage needs. We quote your insurance requirements with all of our companies adding their “best coverage enhancements”. Proposals are then presented to you in a clear coverage to coverage comparison. This way you know your getting the very best available! Visit our general information page here… for more reasons why you should do business with us. We provide all forms of Insurance and the fast service when you need it !! Call us today for the best insurance rates in New York for Business Insurance, Property Insurance, Liability Insurance, Business Auto, Workers Compensation Insurance, Apartment Buildings, Homeowners Insurance, Personal Auto Insurance, Renters Insurance, Fire Insurance, Boat Insurance, Motorcycle Insurance, Snowmobile Insurance, Landlord Insurance Policies, Builders Risk coverage, Surety Bonds, Disability Insurance, Life Insurance and Umbrella Coverage. Commercial Insurance for Contractors, Offices, Grocery stores, Retail stores, Liquor stores, Laundromats, Hotels, Restaurants, Manufacturing, Auto Repair, Auto body garages, and any wholesale business. IMS Group insures many fine automotive auto parts stores throughout New York State. Our Workers Compensation Insurance plans offer excellent up front discounts and possible Dividend returns depending on your business type and experience. IMS Group is very well known for Dividend returns to our customers. Many of our companies will provide monoline workers compensation coverage. When is comes to Surety Bonds, we help businesses and contractors everyday with Bid Bonds, Performance Bonds, Payment Bonds and all forms of License and Permit Bonds. IMS Group will help you increase your profits by negotiating the highest bond limits available. 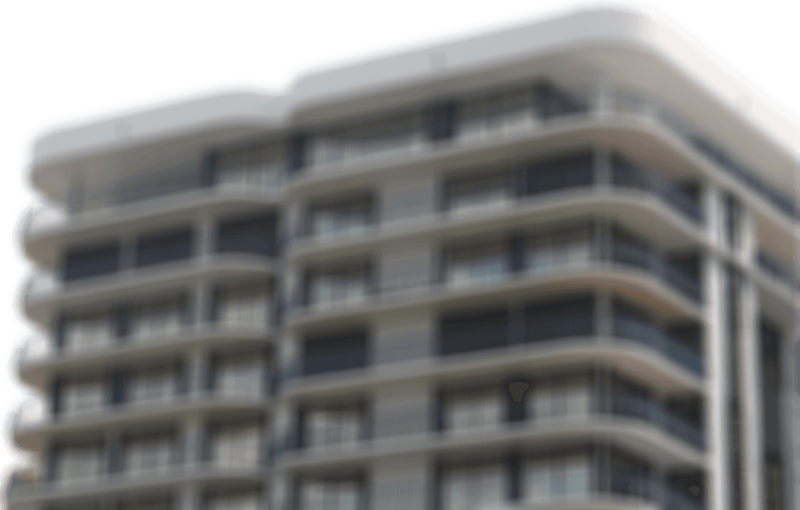 Our bonding companies can provide bonds up to $10,000,000.00 single project. Our clients know that IMS Group will get them approved and help grow their business. Go to our surety bonds page to find out more about the bonding services we offer for contractors. IMS Group takes great pride in working with all of our Insurance companies and providing their specialized Insurance policies. We also are very thankful to all of our clients for doing business with us! IMS Group Insurance is a New York based independent insurance agency. We offer the best insurance rates in New York and we service many areas including: Syracuse, Binghamton, Watertown, Carthage, Fulton, Oswego, Ogdensburg, Massena, Fayetteville, Manlius, Onondaga, Rochester, Buffalo, Binghamton, Gouverneur, Canton, Potsdam, Norwood, Norfolk, and all surrounding area’s. We are licensed in all of New York State. Join the group today. Call us and we will come to you and review your Insurance !! Utica National Insurance, Preferred Mutual Insurance, Preserver (Tower Group Companies), Liberty Mutual Insurance, Peerless Insurance, Safeco Insurance, Travelers Insurance, Main Street America, National Grange Mutual Insurance, Harleysville Insurance, Amtrust Group & Amtrust North America, Dryden Mutual Insurance, The Hartford, Eastern Insurance, Chautauqua Patrons Insurance, Midrox Insurance, Madison Mutual Insurance New York Mutual Insurance, First Rehabilitation Life Insurance Company, Zurich Insurance and many more. 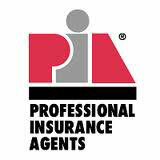 We are always adding new insurance companies to provide the best options for our clients. New York Central Mutual, A. Central Insurance (NYCM Insurance), Farmers Insurance, Preferred Mutual, National Grange Mutual, Harleysville Insurance, Sterling, Travelers Insurance, Haggerty, Utica National Insurance, New York Mutual, Chautauqua Patrons, Madison Mutual, Dryden Mutual, Midrox Insurance, Eastern Insurance, GMAC, Progressive, AIG, Foremost Insurance. LoVullo Associates, Russell Bond & Company, The Walker Group, RCA Insurance Group, Complete Markets, Oryx Insurance Brokerage, Lead Brokerage. We can find Insurance for anyone ! As an added service we can help you with your Commercial Energy rates as well. We are qualified independent energy brokers with over 40 energy suppliers to shop your electric and gas rates. Most companies don’t even realize that they can shop their energy suppliers and save money. Today, with energy deregulation, you no longer have to buy your electric and gas from the same company that delivers it to you. Utility companies can no longer monopolize the market. Consumers have the right to choose who will supply their electricity and natural gas. When you switch, the only change is the supplier on your new bill. The delivery and emergency service response is still provided by your current utility company. The only difference is a lower energy rate! Visit our energy savings information page to see how much other businesses have saved on their energy bill. Allow us the opportunity to negotiate a free energy rate analysis that will include rates from the most competitive suppliers in your area. Our energy companies actually compete and bid against each other to earn your business. We help businesses everyday lower their rates, save money and increase their bottom line profits. Call us today and see how we can help you. If you still have questions, check out our Energy Savings FAQ page to learn how energy deregulation can benefit your business. We do all the work to find the best rates for you. Changing to your new company is simple, it requires no work on your part and we keep you in best rates thereafter. Choose savings plans from either monthly variable or locked in rate plans that guarantee a fixed rate to the term of your choice. Get started now and fax a copy of your current energy bill to our office at 315-488-5800, or you can email a copy to: eric@imsgroupinsurance.com. 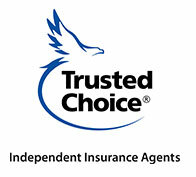 Independent Agents are your best choice !! Thank you for visiting today and we welcome the opportunity to be of service to you ! !